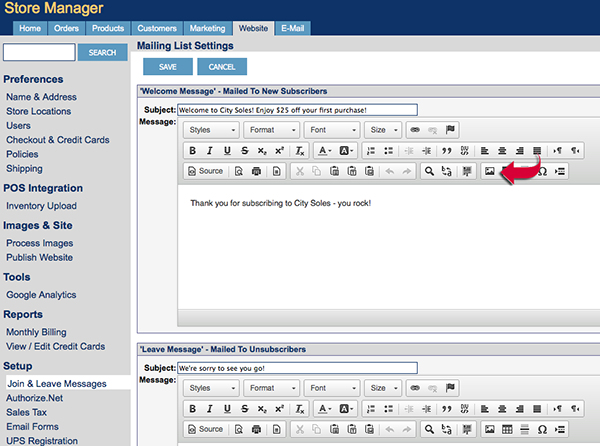 Can we add an image in the e-mail reply for when customers join our mailing list? You can add an image using the editor on the Join & Leave Messages page in Store Manager (Website tab < SetUp < Join & Leave Messages). It is the same editor as the Department Header editor so you add the images the same way, using the image icon.